Growing up in Colorado, it never crossed my mind that the snow might be better somewhere else. I believed that my state was the center of the universe– at least as far as snow and skiing were concerned. A couple of decades passed and now I am a Utah resident. I couldn’t help but notice that snow quality here is well beyond satisfactory. And many Utah license plates claim the Greatest Snow on Earth. So, I wondered… Who has better snow? Colorado or Utah? 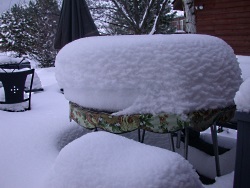 People usually assume that “great snow” means voluminous and powdery. So let’s compare the 2 states using measures of snow depth for volume and measures of water content for powder. As far as snow depth, Alta takes the cake and wins mega points for Utah. According to data collected by ski area avalanche professionals, Alta’s average annual snowfall from Nov 1-Apr 30 is 530 inches. That’s 44 feet of snow ! 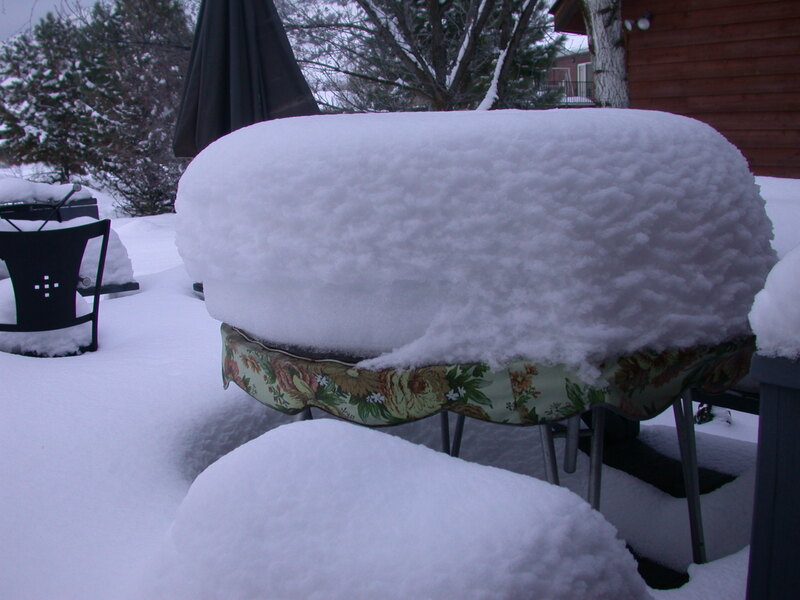 A few other Utah resorts,–plus Colorado’s Wolf Creek Pass–come next with 400 + inches. After that, you get several 300+ inches resorts in both states. More in Colorado, but that’s just because there are more resorts in general. Colorado also has a bunch of areas with 200+ inches. But the point is that a handful of super-snowy resorts lead the pack and most of them are in Utah. Next I located National Weather Service data for the average water content of freshly fallen snow. The lower the value, the drier the snow. It turns out that the mean water content of new snow decreases as you move eastward from the Pacific Coast to the Rockies. You get values around 12 % water content for the Sierras. This is the infamous Sierra Cement. Intermountain (including the Wasatch Mountains) values hover around 8.5%. The mean water content value for Central Rocky Mountain stations was close to 7%. So in general, Colorado has less watery snow. Of course there are localized anomalies in each state. But overall, Colorado appears to edge out Utah for light, dry, and fluffy snow. Baxter, M.A., C.E. Graves, and J.T. Moore, 2005: A Climatology of Snow to Liquid Ratio for the Contiguous United States, Weather and Forecasting, 20, 729-744. Steenburgh, W. J., and T. I. Alcott, 2008. Secrets of the “Greatest Snow on Earth.” Bull. Amer. Meteor. Soc., 89, 1285-1293.